In this series I talk to people at some of the most admirable companies and studios out there, simply asking: How do I get a job there? 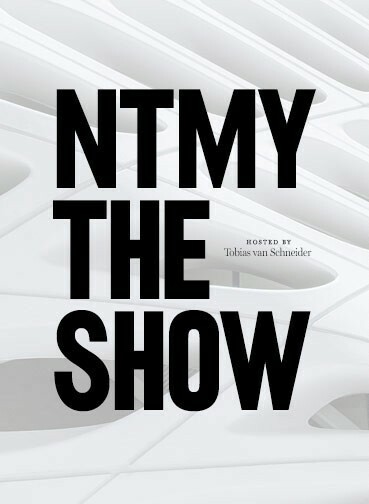 Our second interview in this series is with Nike. The best thing about writing an intro for Nike is that Nike needs no intro. It’s one of the reasons why Nike is so damn good at what they’re doing. You already know what Nike is, and more importantly, what Nike stands for. I’ve been a fan of Nike for a long time now — not only for their products, which I love using, but for their brand storytelling. So as part of this series, I reached out to Shine. 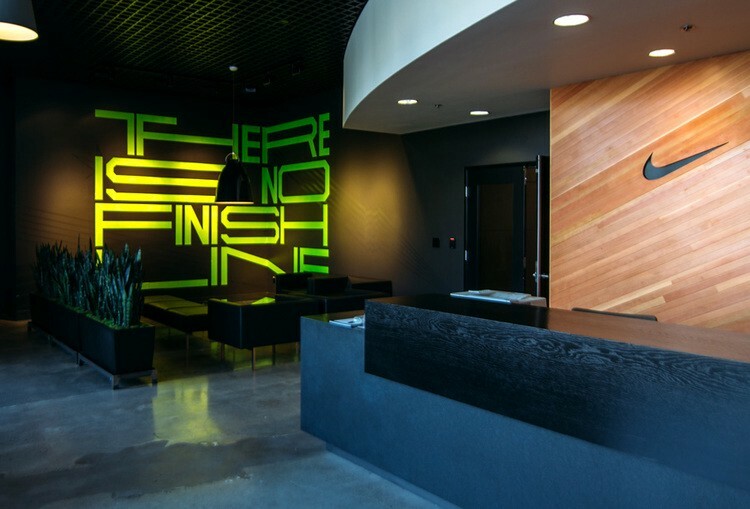 Shine sits at the source as she’s on the team responsible for finding and hiring the best creatives for Nike (some might call it Global Recruiting for Nike Brand Creative). I asked Shine a few simple questions, the main idea being: What’s are the secrets to getting a job at the one of the most recognized brands in the world? Hey Shine, let’s get right into it. Let’s assume my dream job is joining the Nike design team (any design team, can be digital or even becoming a shoe designer), but I don’t know where to start. So here are some questions — some are so basic, it might even surprise you, but I’d love to hear your answer. 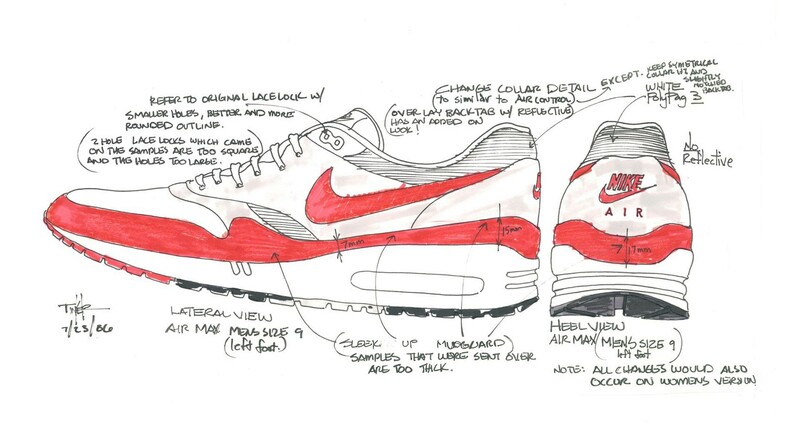 At Nike, Design is everything. We have some of the best designers in the world and when we hire new designers, they need to be as good or better! We usually know who you are. If we don’t know you, we make it a point to get to know you. We do this by proactive sourcing / headhunting and through networking — from employee referrals, external networks and relationships. My recruiting philosophy is that 1) The best people are happily employed and designing great things, not actively looking for work and 2) Good people know good people. Referrals are golden! Traditional channels (posting a job, advertising and waiting for candidates to apply) accounts for a very small percentage of our hires. We don’t sit back and wait for the talent to find us, we find the talent. Nike World Headquarters in the Greater Portland, Oregon area. Do you get a lot of cold applications from people? I’m trying to get a sense for the best way to get into the Nike family, if I haven’t already been noticed. We do get cold emails from people generally reaching out. 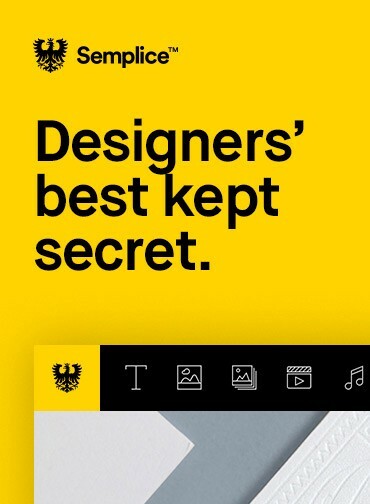 We’re open to connecting with talented designers and how that initial introduction happens can vary. Say we do reach out with a cold email or note on LinkedIn. What kind of message gets a reply? Any secrets for us? We are all open to direct emails from top designers. Add your portfolio and resume, and let us know what you are interested in doing. You can email a recruiter or a creative. We work closely together. 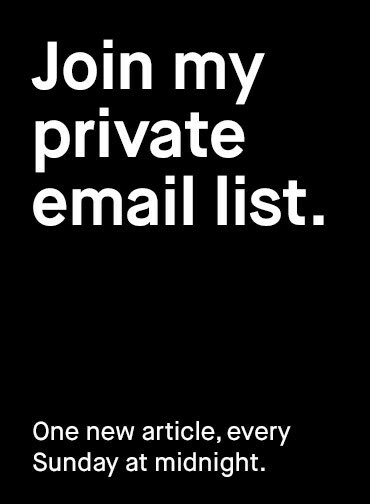 I am always open to people staying engaged with me, but there are a lot of emails and people to respond to all the time. Sometimes, it’s hard to respond to everyone at the speed you desire (sorry to anyone I was slow responding to!). But keep emailing until you get a response. If there is not a match right now, we will let you know. 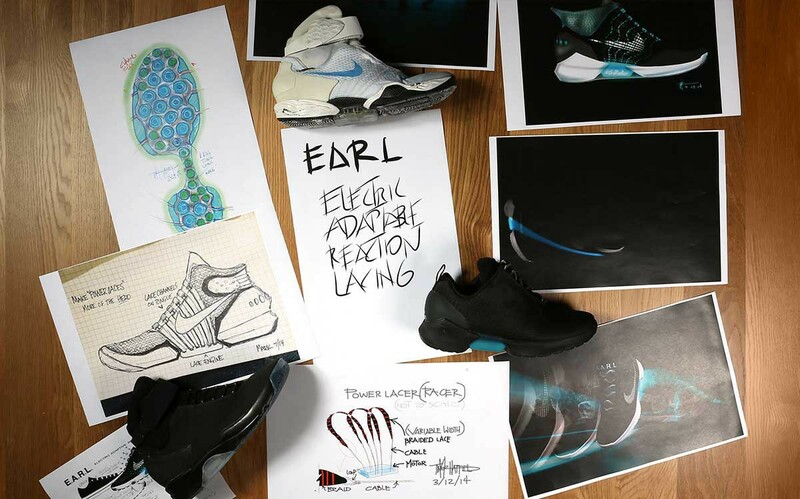 Concept art & early sketches of the innovative, auto-lacing HyperAdapt 1.0. How important is a visual and complete portfolio for you? Can I get away with not having a portfolio when interviewing at Nike? A visual portfolio is critical and a non-negotiable. As a recruiter, I can have a conversation with a candidate without a portfolio. Based on where you work, the products of your brand and your experience, I will usually know if it’s a match. However, when you get to a hiring manager or an in-person team interview, you need to have a well-curated portfolio. Creative leads always start their assessment of a candidate with a portfolio. Your portfolio is your story and worth keeping updated. Besides having a portfolio, do you like the idea of designers being invested in other things? For example being active bloggers/writers, or otherwise outspoken in their community? How much do you value side hustles? We love designers who are active in creative pursuits outside of their day-to-day design. Our design work is definitely challenging and inspiring but sometimes, you have to look outside your everyday world to feel inspired. We have many designers who pursue creative interests outside of Nike Design — music, art, photography, sculpture. This is all valued and encouraged. However, we are a brand and a company so designers need to balance creative pursuits with the corporate guidelines of Nike. Obviously you have to be reasonable and not do things in direct competition with our brand — that’s obvious! Not having a curated portfolio. Your portfolio should be your best work only and not everything you have ever designed! Lack of preparation. You have to be proactive; have your portfolio ready and a brief pitch of your skills and experiences. Simple, curated books with one or two of your greatest projects are the best. If you are posting your work, it should be at a quality level you are proud of. Do you have a favorite story of an application that really stuck with you? Someone who prototyped their own Nike shoe, maybe? Or redesigned an app without you asking? Yes, for sure. People have sent shoes, brought shoes to presentations, etc. I am open to anything creative but ultimately, it’s much more simple. You don’t actually need to do anything crazy to get our attention — you just need to show your excellent design work. It’s all about the work. Luckily, in the field of design, your work is not represented by only a resume. For legal reasons, we do not recommend you redesign a Nike product. What you have already designed should speak for your skills. Let’s say I make the first pass and get invited to an interview. Can you describe the interview process as briefly as possible? 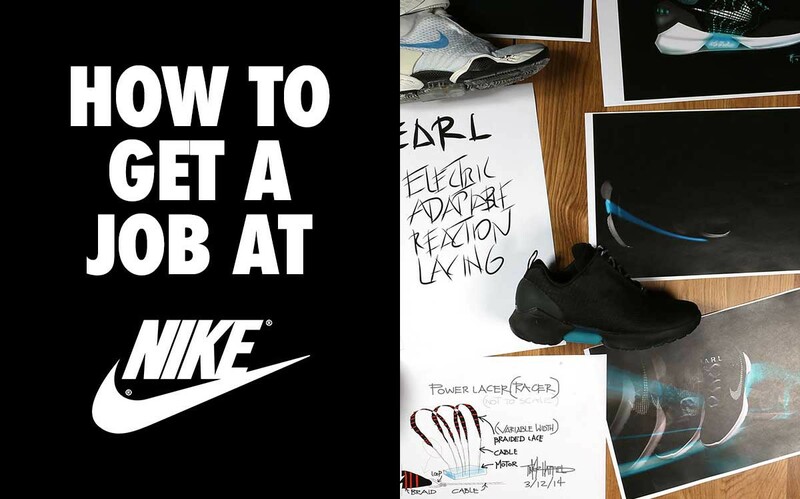 Recruiter high level interview — we want to get to know you, your design skills and experiences, and where there could be a fit at Nike. – You get a chance to meet the team and present your portfolio and work. Our creatives love seeing good work and the interviews are more fun than stressful (for us anyway!). – I have to say, our creatives are awesome human beings. Talented, no ego, super nice and genuinely want to know who you are. The team element is so important for us. – We keep it casual, evaluating your design skills and how you would align to the skills we feel you need to be successful. – You also get a full campus tour, and lunch or coffee with someone. We hope, if you interview with Nike, that you walk away feeling like you had a real connection with the people. We want you to have a great experience and feel inspired by the brand. Would you hire someone who is a cultural fit over someone who has more industry experience and hard skills? If you had to make the choice, which would you value more (assuming both are important, of course)? Tough question. You really need to have the right design experience and aesthetic and also, align to our key competencies. We would not settle for one or the other. This is what makes recruiting top talent so difficult. What are the secondary skills you look for in a designer, besides common soft skills? Do you prefer business skills over coding skills, for example? Communication skills are very important: how you communicate in your team and with your partners, and how you communicate your ideas. The concept of storytelling runs through everything. Collaboration is also important. No one person designs something on their own — it’s about teamwork. We also look for people who can problem-solve and “dream” about the future. Ideas are so important to amazing design and products. Do you take design interns? If yes, how do I get in, and where do I apply? We start hiring in December and the annual deadline is mid February. We hire rising juniors, seniors and masters students. 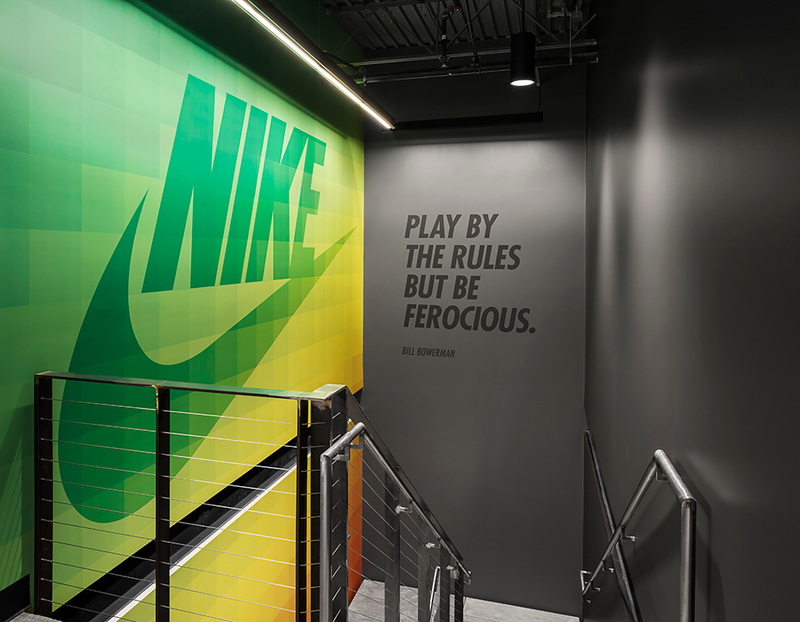 If you are interested in interning, look for job postings on our career site (jobs.nike.com) in January of each year. We hire design interns in digital,brand, retail, footwear, apparel, color and materials. Do you have to be a “shoe dog” to get in? Say you found the perfect candidate skill-wise, but he/she isn’t really into anything athletic, not breathing the full spirit. Is that a problem? If you have a body you are an athlete. That is our mantra. An athlete is not just a super marathon runner or someone who is going to the Olympics. We do have a lot of those athletes for sure! Our campus has gyms, soccer fields, running trails and so many opportunities to be active. Our culture encourages everyone to be active. However, breathing the spirit of Nike also means being passionate about the brand and the spirit of the brand; being someone who tries their best every day, sets goals, pushes boundaries and never gives up! Being an athlete means you embrace the power of team and you connect to how inspiring the story of sport can be. You have to connect to that because that is what you are designing around. I promise, that is an easy connection. I cannot think of many more inspiring brands on the planet. Can you imagine the combination of sport and design, and all the depth and richness of design that can create? It’s a dream company! Thank you so much for your answers, Shine! Is there anything else you would like to add that I forgot to ask? Something crucial a potential candidate needs to know? We love to connect with talented designers! 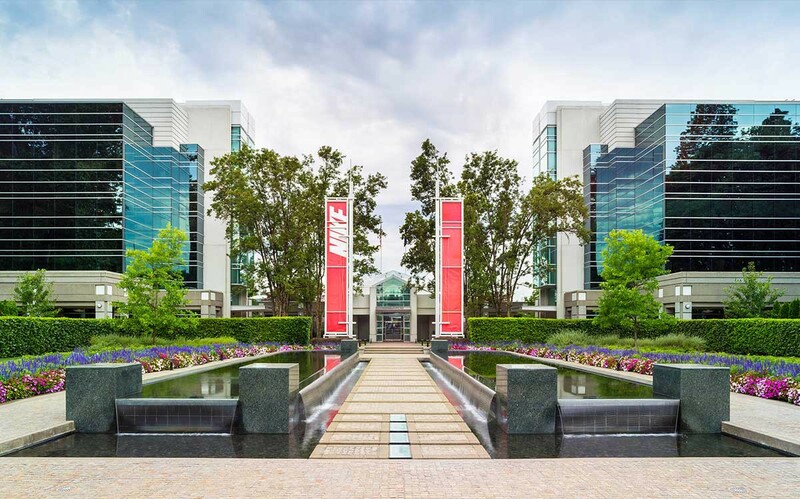 Right now, Nike Digital Design is growing and looking for talented product designers. If you are interested in joining our design teams, connect with me on LinkedIn. I would love to connect with you! All right, so there are a few key learnings from Shine’s interview I found worth noting and summarizing. Nr.1 — Nike might find you before you find Nike. I loved this particular advice from Shine. 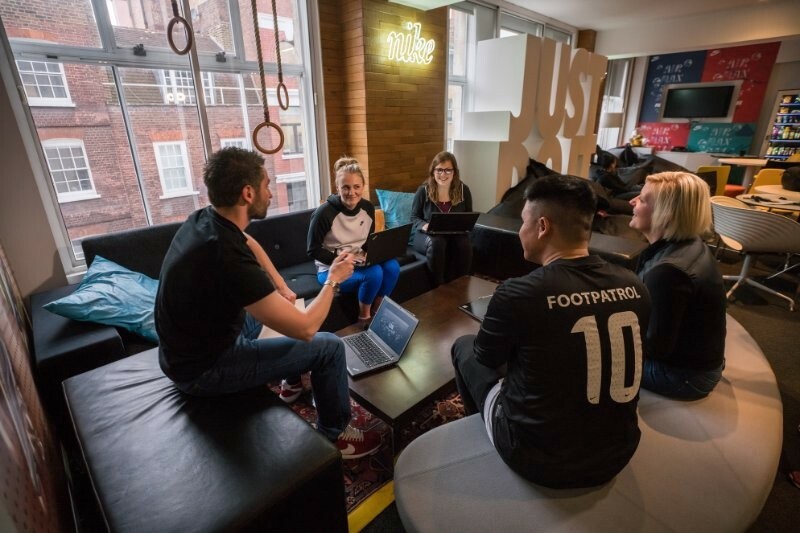 Nike is extremely active in searching for top talent which means they will make an effort to find you. If you already stand out, Nike might find you before you even reach out to them. 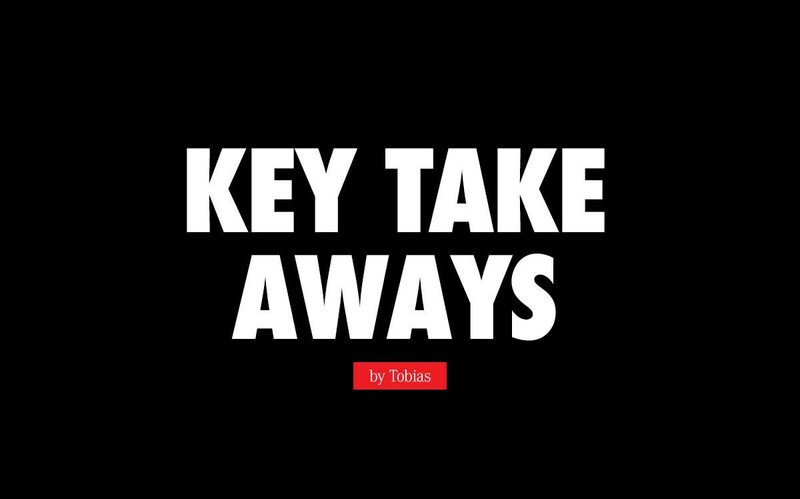 Nr.2 — Your portfolio is crucial. It couldn’t be more clear than that. You need a portfolio, there is no way around that. This more or less speaks to Nr.1 as well. Being visible, showing your work and curating a strong portfolio can get you noticed by Nike before you even know they’re looking. You might appreciate this article when creating your portfolio. Nr.3 — Take your time. Nike is hiring the best of the best. They will put a lot of effort into getting to know you well. The interview process is fairly involved and requires an in-person interview, most likely in Portland or New York. So if you’re not from the USA, make sure you plan accordingly. And with that, I will leave you to update your portfolio :) I hope you enjoyed Shine’s interview as much as I did. Until the next one!